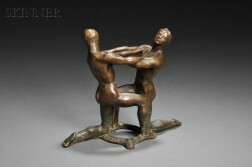 Save your search - find out immediately when "Paddock" is available at auction! 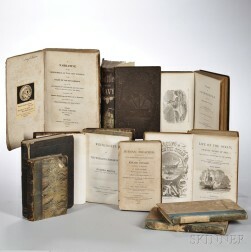 Maritime Subjects, 19th Century, Nine Titles in Ten Volumes. Attributed to Henry Sargent (Massachusetts, 1770-1845) Portrait of Fannie Paddock. Four-piece Carved and Painted Wood Oxen and Cart with Driver and Paddock Fencing. 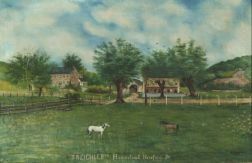 American School, 20th Century Treichtler's Homestead, Hereford PA.
American School, 19th Century Primitive Pennsylvania Horse Farm Landscape.